Posted August 7th, 2012 by David Porter & filed under Social. In the words of The Who’s great 1960s’ anthem, My Generation, ‘hope I die before I get old….’ the thing is that vast numbers not only didn’t die now but are still rocking on. The number of pensioners on the touring circuits is growing. It’s partly the economic situation means they can’t retire, it’s partly that they want to carry on till they play that last gig. Bands like The Dubliners are now clocking up 50 years togetherness not with a retirement party, but yet another tour. Of course, technology means even the actual dead can play again as we highlighted in a MBF Blog on 25 June. But the living are performers still. The nostalgia market, Van Morrison, Bob Dylan, the Stones, Hollies…. Ray Davies of The Kinks are all still around. Tom Jones, Englebert Humperdinck, old men still active and popular. Most of the original Bill Haley’s band The Comets are still on tour. Late 50s-early 60s guitar legend Duane Eddy played dates in the UK in early summer 2012. So there are names from the past still written large on the posters of today. Also the tribute bands to the greats like Pink Floyd and the Who are still flourishing, the whole industry being an example of how nostalgia as well as a thing of the past, also pays very well. Even people who were never in the music business, are at it now, weekend head-bangers and ravers. Loyd Grossman (61), Greg Knight MP (63) and Mark Austen (53), ITN news reader are in bands in their spare time. Downton Abbey actress, Elizabeth McGovern (51) played the Isle of Wight Festival this year in her band. When the past in many forms meets the present/future through technology, we can see that there is a healthy, still innovative business. What is new is the way songs are now being released (illegally) before they are actually released, and that is a new and worrying phenomenon. Near perfect copies of the biggest stars latest work is being issued just ahead of their own launches. Precision Tunes is a New York-based outfit that produces copycat material after airings on the radio, a traditional trade practice to bump up pre-release sales. This time-honoured habit seems to be a particularly British one, but it has led to a grey area legally speaking. The advent of the digital download has created a new business making imitations to undersell the official tunes. Now the covert versions are pre-empting the proper ones by some days, leaving many customers unaware they have bought a fake, albeit a very good one. An example from recent charts, reported by the Sunday Telegraph on 1st July, was a track called Payphone (Maroon 5 Feat Wiz Khalifa Tribute) was put out by Precision Tunes and hit Number 9 in the online download charts. This was a week before Maroon 5 issued their own original. 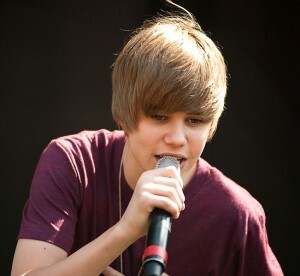 Justin Bieber, Jennifer Lopez and Usher are among other artists who have had the Precision Tunes treatment. The Telegraph investigation has led the man behind it, Joshua Weinstein, to promise to ‘restructure’ his company and ‘relinquish the proceeds’ from his copying activities. This is hardly likely to be the only operation of its kind, though. Technology makes it easy. Just as anybody nowadays can be a film director/producer, performer, promoter, photographer, so they can trade on the margins of digital commerce. Now there are many followers of digital age developments and advocates of the open web who would say copying is merely in the spirit of these times. Equally, the increased use of electronic equipment to produces songs makes security/secrecy of works ’til published impossible to achieve. Others would say, but what about copyright and intellectual property rights of the artists who write, perform, play on and produce the songs in the first place? Are they supposed to work for nothing? The Sunday Telegraph Adam Lusher & Ben Leach, Lifting the lid on pop’s copycats, 1 July 2012.